Sorry there hasn’t been too much news coming out lately. A lot going on to completely zap me lately & gum up the gears at Silber. So even though stuff is happening, I’m not really getting the word out well. But here I am trying to fix all that. The main impediment to Silber at this point is that we’re facing the same death of a thousand cuts as most labels & artists with a little less money coming in each month & that means me needing to get more income from day jobs, which limits my time to work on Silber which lowers the new content & promotion which of course further reduces the income & that means more work at the day jobs & you see where that means things are headed. But I love Silber & I’m as incapable of stopping it as I am of keeping it from slowing down. That all said this past couple of months has been pretty rough, my wife’s grandmother died & it was a pretty hard hit to the family & a week later when we were at the funeral our cat Iris died (fun fact: the Small Life Form piece “It is not safe, but it is warm” is about her sleeping on cooling electric burners). There’s nothing to be sad about because the grandmother was 92 & the cat was 16 & they both lived full lives, it’s just a problem of missing them giving comfort when needed in ways they did that no one else does. So we’ll keep moving on. Working & helping others in the way we uniquely do. So what’s up here? 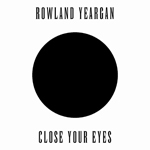 New music out from Rowland Yeargan, P.D. Wilder, Small Life Form, & a couple remixes for Azalia Snail from Anda Volley & Alan Sparhawk of Low (more info on them all below). While I’m writing this, there’s a Remora show coming up tonight as a feedback drone ensemble. We will attempt to record it & see if it’s interesting enough to unleash on the world. Next month will have the debut live appearance of my Muscle Mass project (primitive dance/drone). Still planning to record some of the Remora music box material from last year & the Small Life Form organ ensemble stuff before I forget about having done those things. There’s a lot of new music on Silber waiting on me to come out including Space Sweeper, slicnaton, Goddakk, Stoic Automaton, Luka Fisher, Chvad SB, Philip Polk Palmer, Jon Dawson, Petri Dish, & Nebh. I just gotta start making a dedicated effort to getting things to come out first & worry about the time to promote them second or things aren’t going to happen at all. There are a couple comics that came out, but they aren’t even available to order on the website as yet. One was written by the drone cub & is a two panel comic that was interpreted by half a dozen cartoonists. The other is the third installment of Seabase 17, which is turning into a near future Cthulhu story. QRD has a ton of interviews ready to go, but I just haven’t had the time to make it all come together. I have a goal of proofing an interview a day & catching up, but it’s been hard to get that habit started! So that’s most of the news from here. Spread the word if you can. Let us know if you want to be removed from the mailing list. Thanks for your interest & support. “Field Rep” from the album Neon Resistance remixed by Alan Sparhawk of Low. 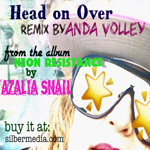 “Head On Over” from the album Neon Resistance remixed by Anda Volley. Five minutes of drone from new Silber ally Rowland Yeargan. 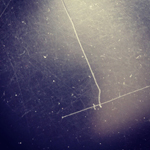 Small Life Form started as a studio project of sound exploration in 1998 & became a live project in 2007 focusing on electro-acoustics & super simple synthesizers. 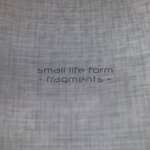 Fragments collects studio recordings from 2012-2014 dominated by the live rig of the era complimented by a few computer sound sculptures (“slow silence”, “so sincere”, “BPM65″, “fluorescent”, “buzz”). The stage is set with “something organic to service the machine” inspired by Harlan Ellison’s short story “I Have No Mouth, & I Must Scream” for a slab of post-apocalyptic sci-fi doom drone. After mankind has fallen, sound still needs to be explored. This entry was posted in comics, daily news, music and tagged azalia snail, pd wilder, remora, rowland yeargan, Small Life Form. Bookmark the permalink.